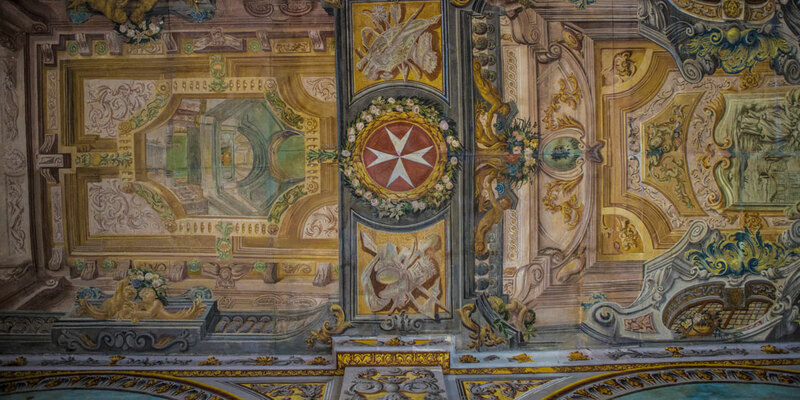 When staying at our holiday accommodation on the island of Malta, you’ll be following in the steps of the maritime Knights of St John who were drawn to a settlement at the time known as Birgu right next to the Grand Harbour. The Knights adopted the town, fortifying and embellishing it. 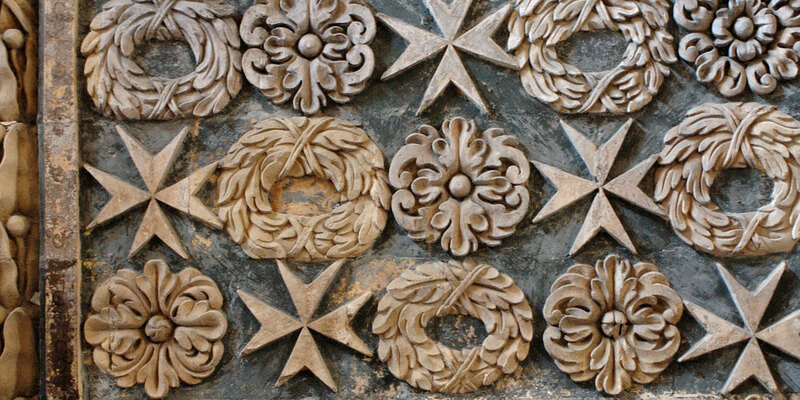 Following their victory in the Great Siege of 1565, the town was bestowed with the name Vittoriosa (victorious) an the knights went on to build the new town of Valletta. 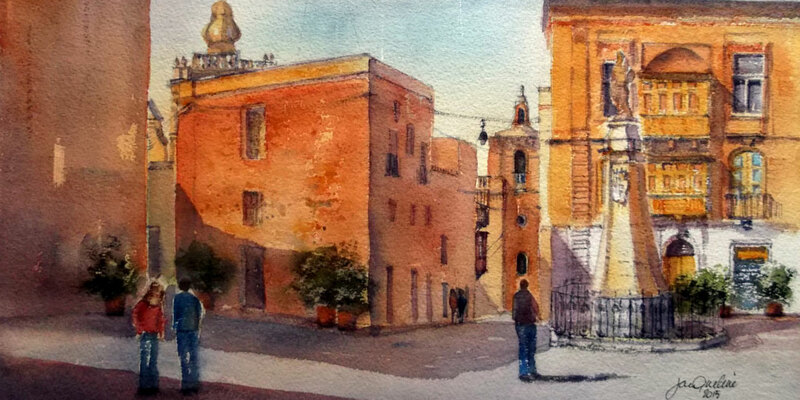 Indulgence Divine's location - Vittoriosa - makes for a more grown-up experience. 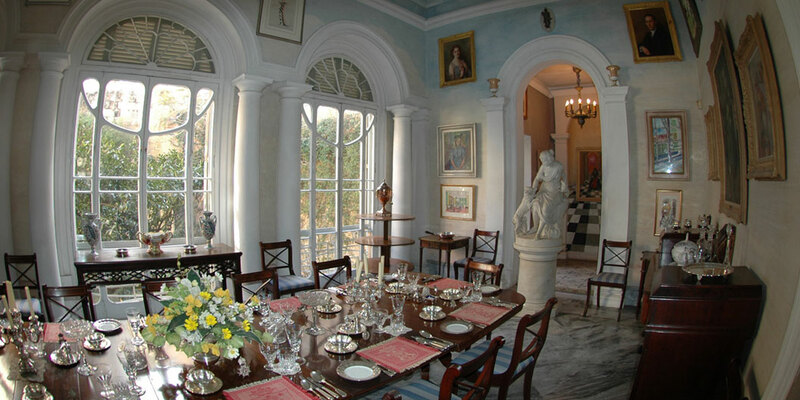 It appeals to those interested in history, cafes, restaurants, wine bars and the local way of life. Vittoriosa is a pleasant 10 minute ferry journey from the capital city of Valletta, making it an ideal base to discover the island from. Here's the position of Indulgence Divine on the map and below it a few choice places of interest and some established events, all within a short distance from our holiday rental. Wander through the narrow winding streets of the old part of this city - the Collachio where our rental is nestled. The streets have witnessed history & survived to tell the tale. 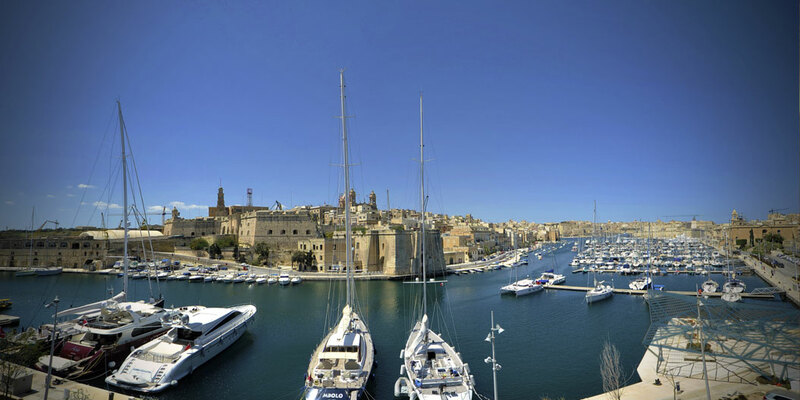 The Birgu waterfront with its exclusive yacht marina offers a picturesque area for dining al fresco & views of the Grand Harbour at one of the restaurants and cafes along the seafront. 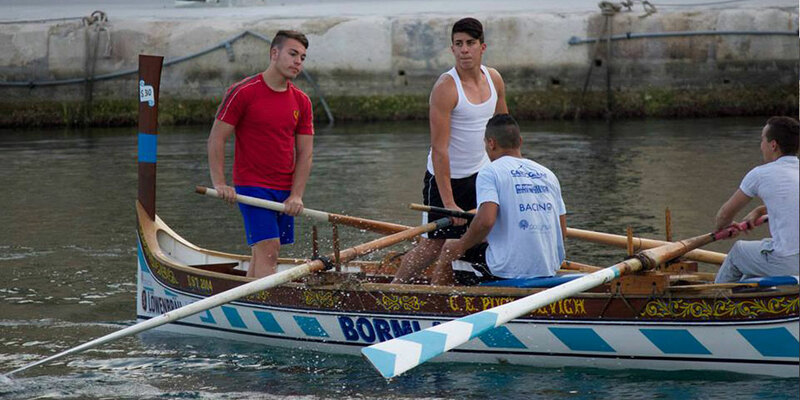 Vittoriosa celebrates the month of October with a weekend of events called BirguFest. On Saturday evening the town is imbued with the light from thousands of candles. 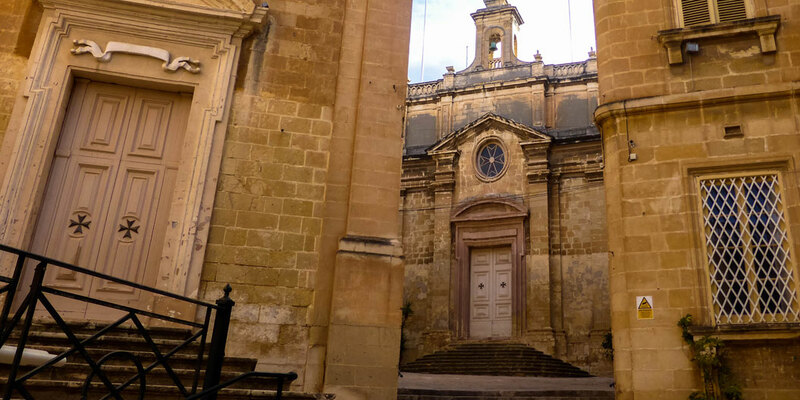 The seat of the Maltese Inquisition from 1574 to 1798. It now houses the National Museum of Ethnography.and exhibits relating to the Inquisition. Look out for the graffiti on cell walls. 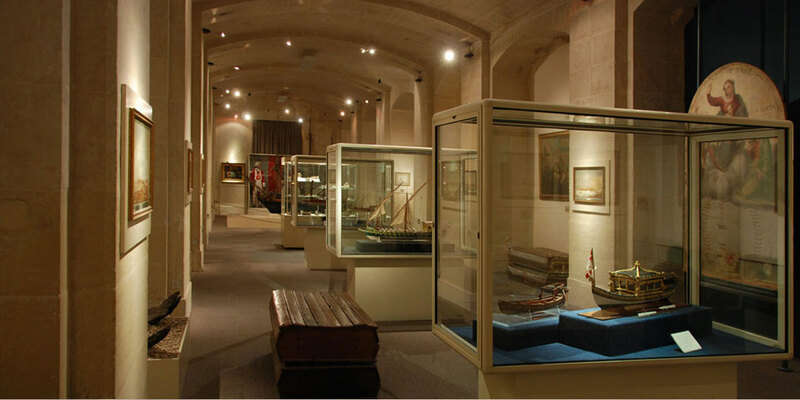 Built in the 1840s as the main bakery for the Mediterranean Fleet of the British Royal Navy, this building now houses Malta's Maritime Museum. 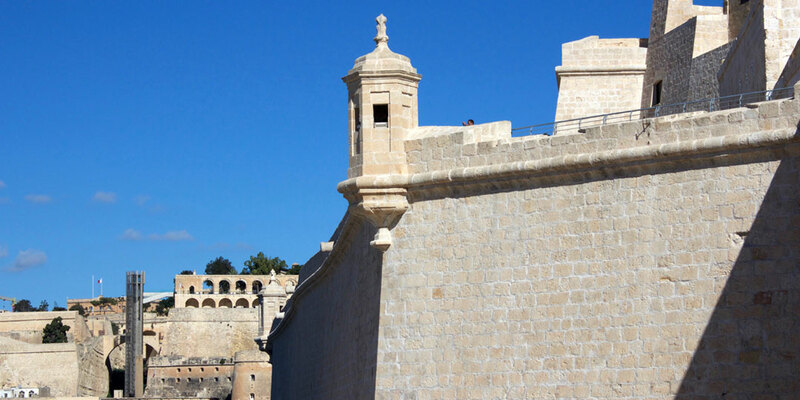 This jewel in the crown of the islands has played a vital role in the Great Siege of 1565. Recently restored and reopened to the public with information presented in various media. A lovely walk along the newly landscaped Dock 1 which spreads on the shores of the Three Cities. Used since the Romans as a harbour, now more likely used as a practice spot for the regatta. 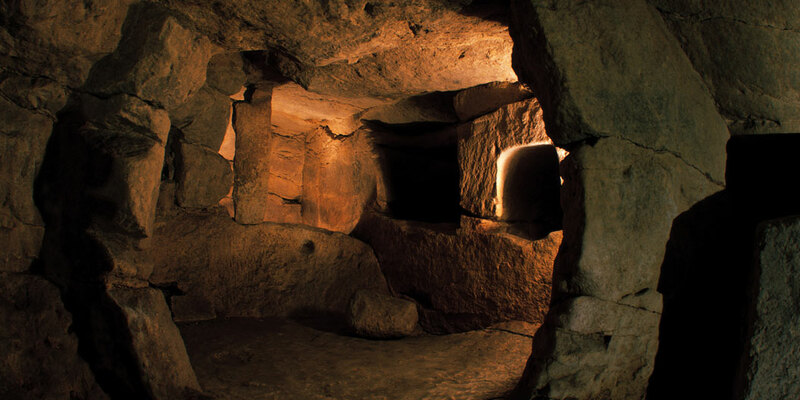 The Hal Saflieni Hypogeum is an underground prehistoric burial site, dating back to about 4000 BC. The complex was used over a span of many centuries, up to c. 2500 BC. There are 3 different bus services which get you there or you can call a cab. The quickest way is by water taxi or ferry (approx 15 mins), both of which depart from the waterfront. 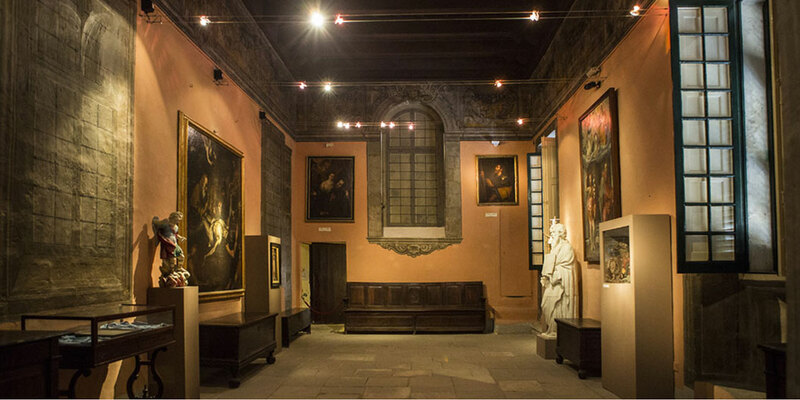 The Grand Masters & knights contributed to enrich their conventual church with the best works of art and to make this one of the most fabulous of Baroque churches. 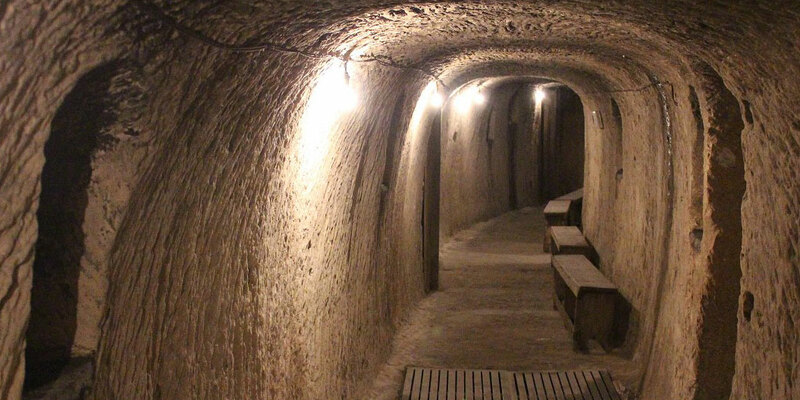 Housed in an 18th century army barracks and underground rock-cut air raid shelter, this museum boasts a collection of artifacts, memorabilia, medals, uniforms & weaponry. Held bi-annually to commemorate withdrawal of British Royal Navy and Victory Day respectively. Rowers from 7 different clubs compete in races which can be viewed from waterfront. 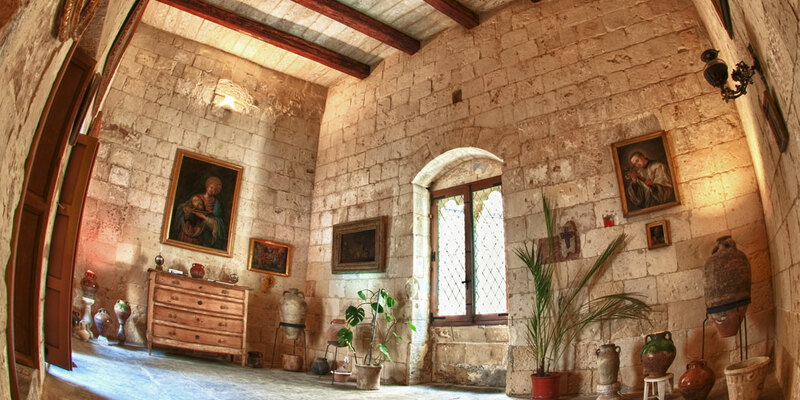 This private house, parts of which date to the 13th century has been meticulously restored by its owner and is at times open to the public. Notice its 15th century Norman window. Fireworks are a feature of the many village feasts in summer. This festival attracts a variety of international pyrotechnic companies competing to outdo each other. 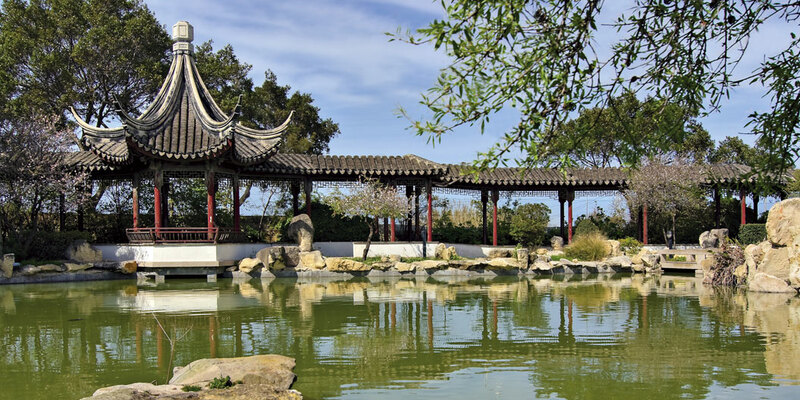 Four gardens make up a layout symbolising the journey of life, embracing the Yin and Yang philosophy. A quiet space to be alone with one's thoughts away from the noisy traffic. 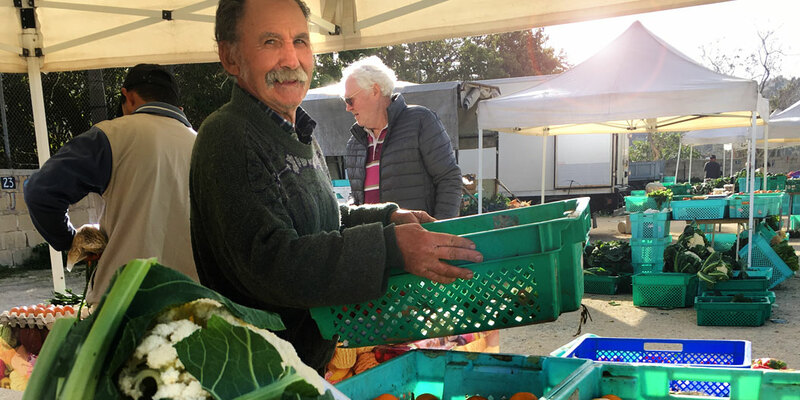 Wake up early for the Farmer's Market on Sat mornings to purchase fresh fruit & vegetables. Tuesday morning's is a good size market selling all and Sunday morning is flea market. 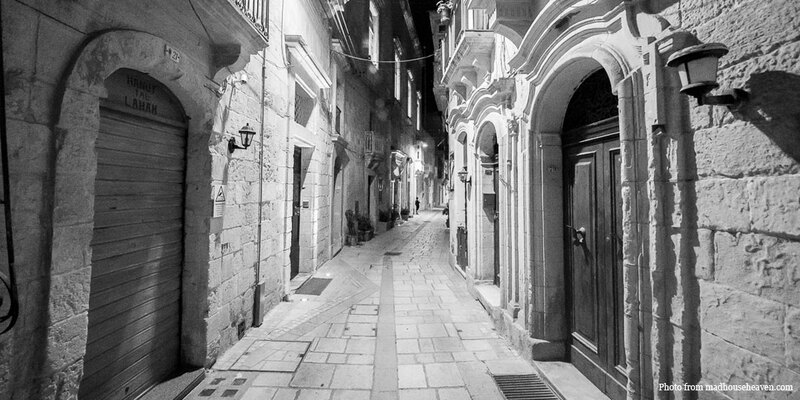 The noisy hub of Birgu where the locals congregate. Plenty of cafes where to take your morning coffee out in the sun while watching the world go by. 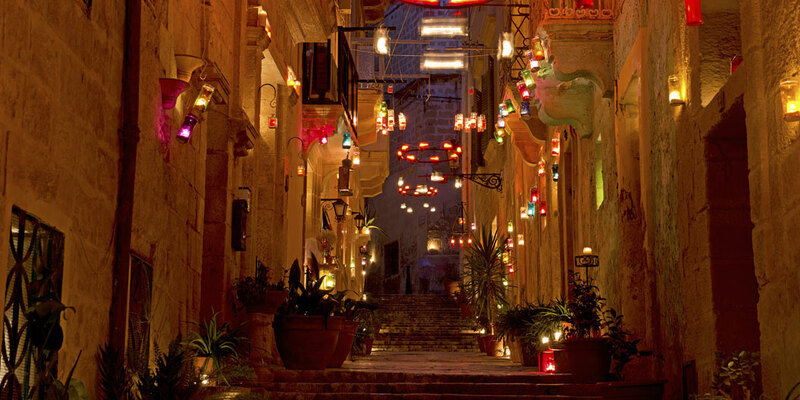 Try Cafe du Brazil or Bebirgu. Quirky museum open weekdays 10am to noon. Amongst exhibits related to local history, one can find La Valette's sword and hat. Look out for the beautiful set of 1609 playing cards. 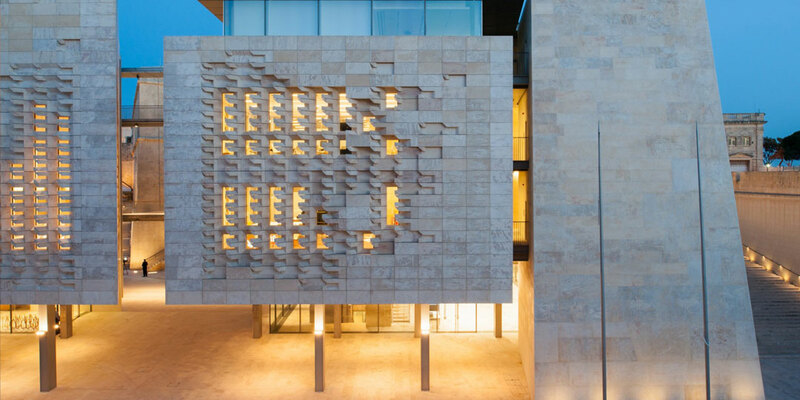 Valletta's new entrance by renowned architect Renzo Piano is at once majestic & restrained. The parliament facade has been sculpted like Maltese stone eroded by the elements. Plenty of options: For best sandy beaches go West. Locals go as close as Kalkara (15 min walk) to swim. 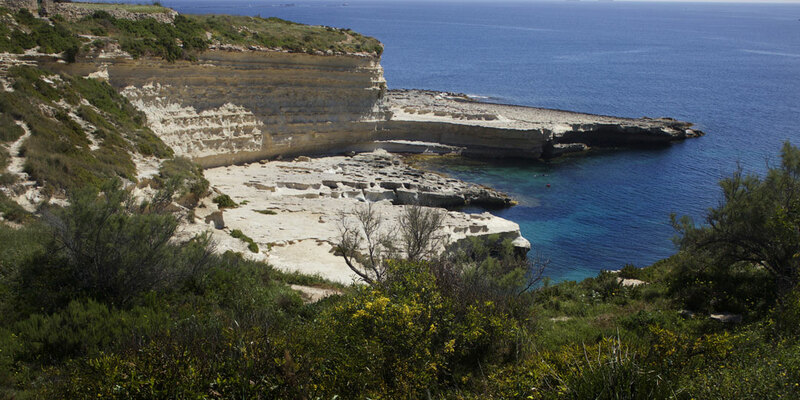 Our favourite is St Peter's Pool (pic above), close to Marsaxlokk. 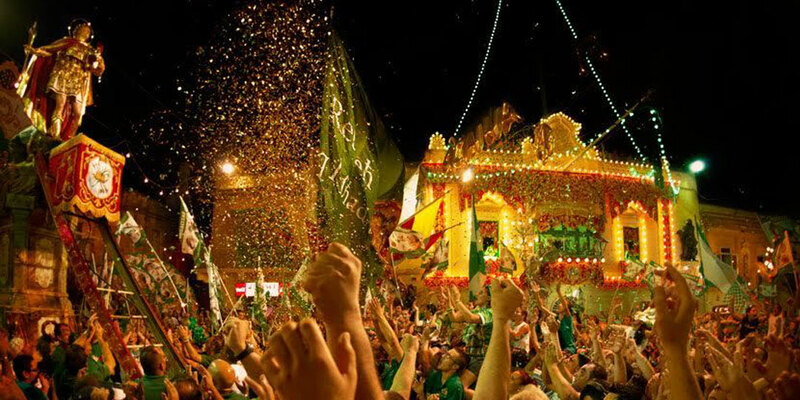 Each village has its feast day dedicated to its patron saint, crowned by a huge party with many fireworks and a church parade the day after. Vittoriosa has two. 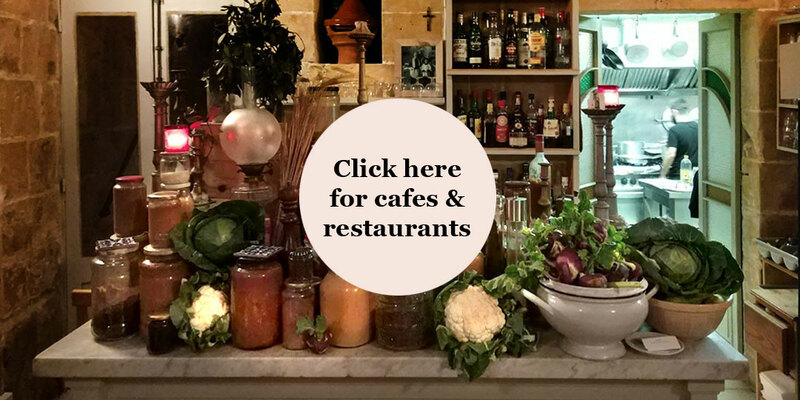 Click on the picture above for our favourite from the many lovely restaurants, bars and cafes in and around Vittoriosa. We hope to add more in time. "The location is beautiful and makes getting around very easy." 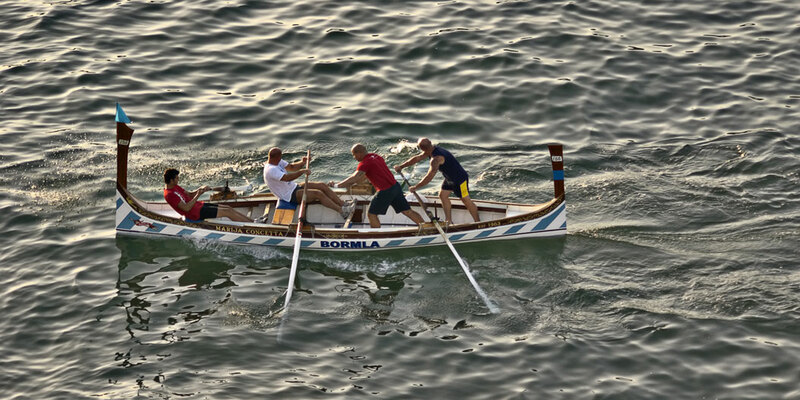 A few of the events in Malta throughout the year. The mood that takes over the island can be rather dramatic. It starts with Thursday evening and Friday morning when churches have drape over images in purple or black velvet. To anyone not familiar with Catholic rite, there are the traditional visits to seven different churches while meditating on the Passion of Christ. Friday sees solemn processions of statues (some rather gory) in some 17 different towns and villages and Easter Sunday in some villages includes a festive running with the statue of the risen Christ. 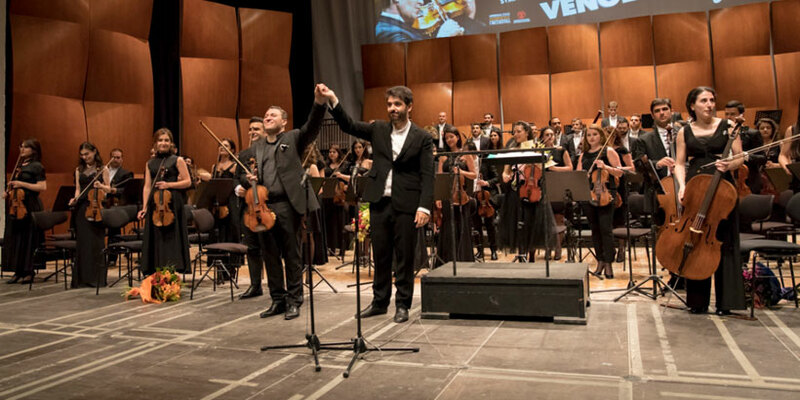 The 2019 festival will offer a rich and varied programme including solo recitals, chamber concerts and grand orchestral concerts. 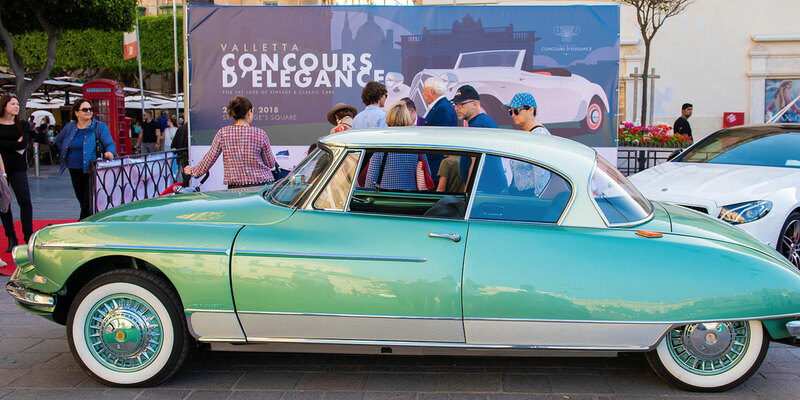 International event where the finest local and international historic and concours level vintage and classic cars participate together in this Concours d’Elegance. 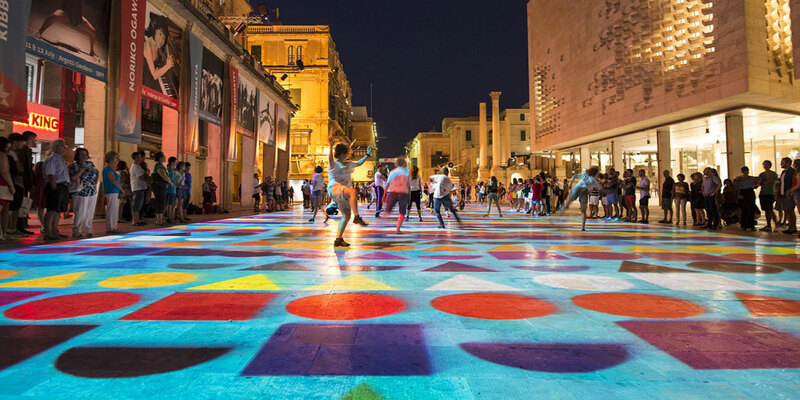 2018 has seen a new gallery space in Valletta for the Maltese contemporary art scene. 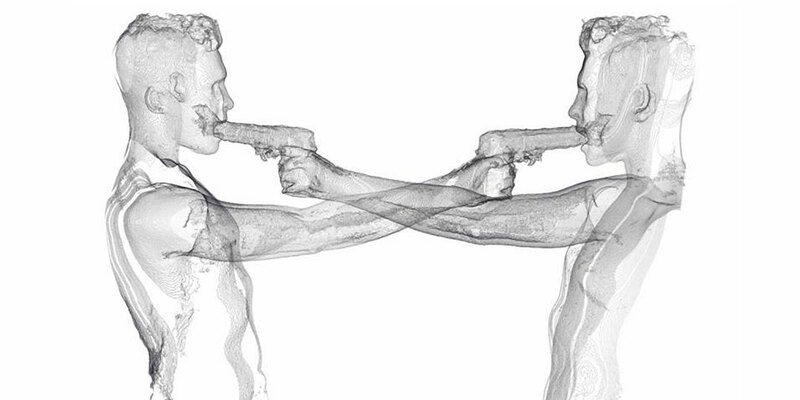 An interactive centre where culture is the subject of perpetual discussion. 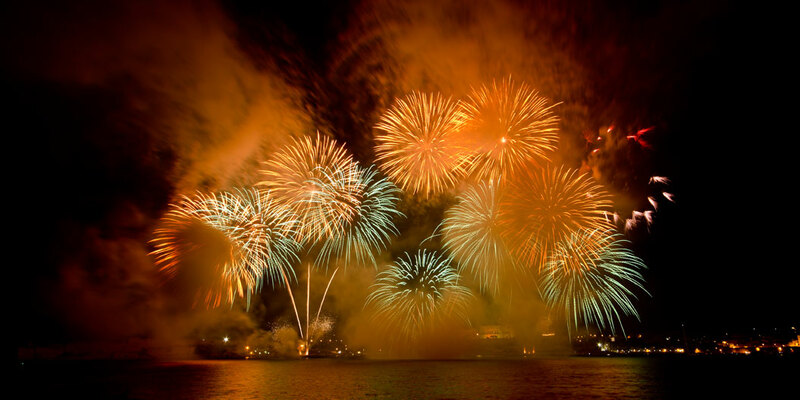 A showcase of the best of Maltese aerial pyrotechnic talent alongside international fireworks companies seet against the panoramic backdrops of various localities. 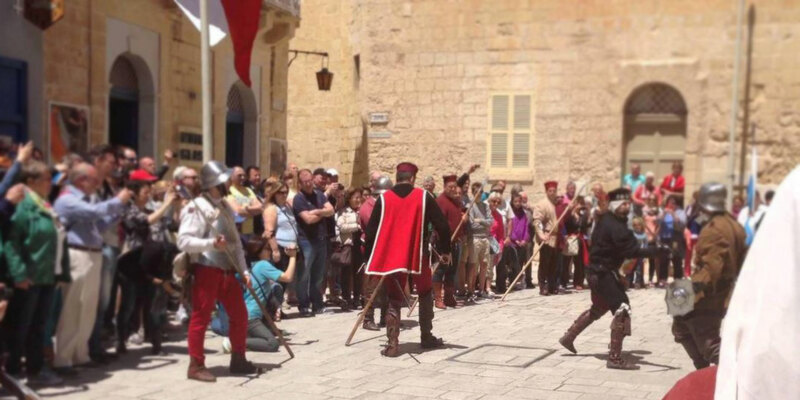 The amazing ly preserved Medieval city of Mdina is the setting for two days of re-enactments and pageantry that evoke the island between 1200 and 1500 AD. 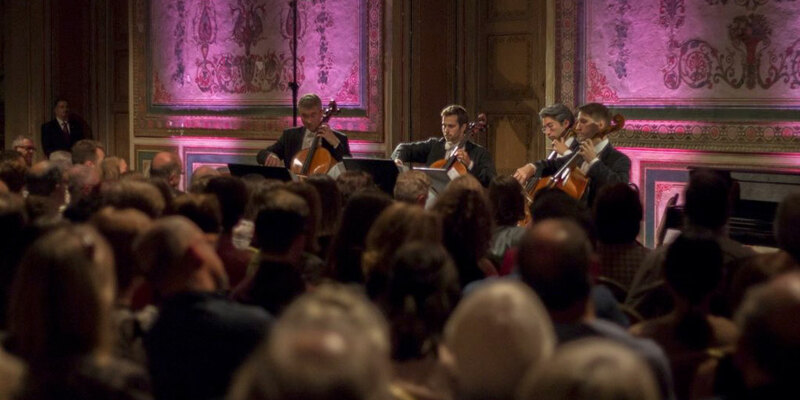 The excellence of the music is matched only by the uniqueness of its setting, with the three Presidential Palaces adding a further layer of history and narrative to the festival. Start Summer on a good note! Performances, music, visual arts, theatre, dance, opera, installations, films, community projects, interactive and participatory events. 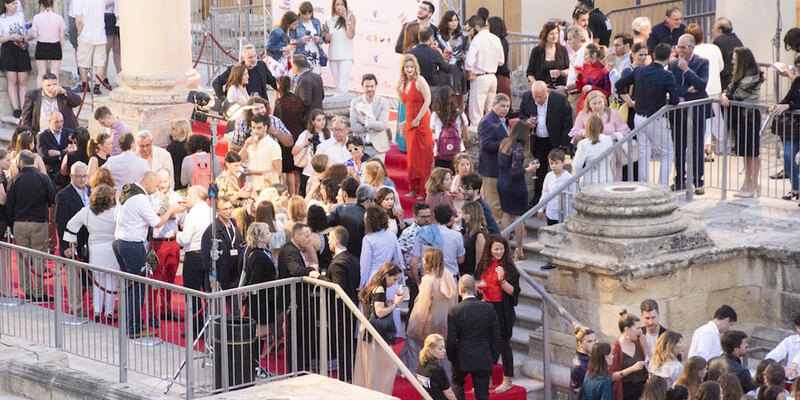 Malta's largest festival of its kind, showing over 40 feature films and 25 short films. Organised by the Film Grain Foundation, screenings in various venues. 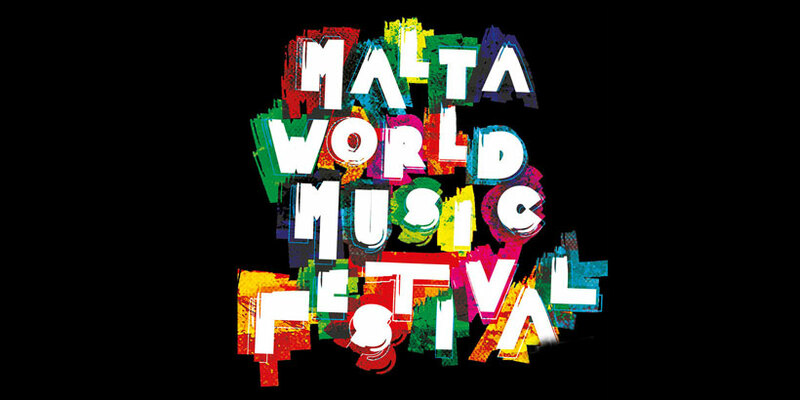 Celebrates the diversity of Mediterranean and world music, bringing together a rich programme of Maltese music bands and international world music acts.